Rahul Ravipudi has spent his legal career handling catastrophic injury and wrongful death cases involving commercial vehicles, pedestrians, industrial or construction accidents, as well as dangerous conditions of public and private property. He also represents consumers in class actions against businesses who engage in unfair and illegal business practices. Recently, Mr. Ravipudi recovered $10 million for the family of an independent truck driver killed by an intoxicated heavy lift operator at a stevedoring terminal in Long Beach. He also recovered $5 million for an HVAC worker who suffered serious injuries when he fell through a skylight while working on a customer’s roof. He also obtained a $3.3 million gross jury verdict in Orange County arising out of the death of a pest control person crushed and killed when a semi-truck reversed into him at a warehousing facility. Mr. Ravipudi and Brian Panish also obtained a $2.1 million jury verdict for the mother and father of a severely mentally disabled 38 year old man who choked to death on a sandwich while in a daycare facility. In 2016, Mr. Ravipudi was recognized for his work on Jun v. Chaffery Joint Union High School District when he was chosen as a finalist for both the CAOC’s Consumer Attorney of the Year award as well as a CAALA’s Trial Lawyer of the Year. Mr. Ravipudi is actively involved in matters of public interest as well. He has been the Treasurer of the South Asian Bar Association Public Interest Foundation. He is also an active supporter of Children’s Hospital Los Angeles. He is also actively involved in local, statewide and national bar associations and public interest groups. 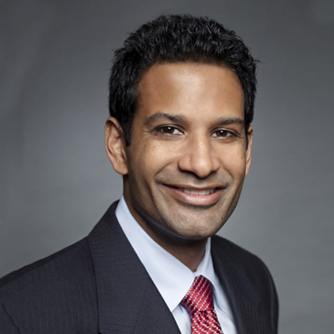 Mr. Ravipudi serves as the Board of Governor for the Consumer Attorneys Association of Los Angeles (CAALA), Litigation Chair for the North American South Asian Bar Association (SABA), board member for the Loyola Law School Advocacy Institute and an honorary board member for the Los Angeles Trial Lawyer Charities (LATLC). In addition, Mr. Ravipudi is an associate of the American Board of Trial Advocates (ABOTA) and is a member of the Consumer Attorneys Association of California as well as a member of the Association of Business Trial Lawyers. Mr. Ravipudi received his Bachelor of Arts degree in Economics and Minor in Chemistry from the University of California, Riverside and his law degree from Loyola Law School where he has served as an adjunct professor teaching Trial Advocacy since 2008.